Thanks to 電腦學習園地 for his Air Explorer introductory video. Thanks to Informatic.com for his Air Explorer review video in Spanish. 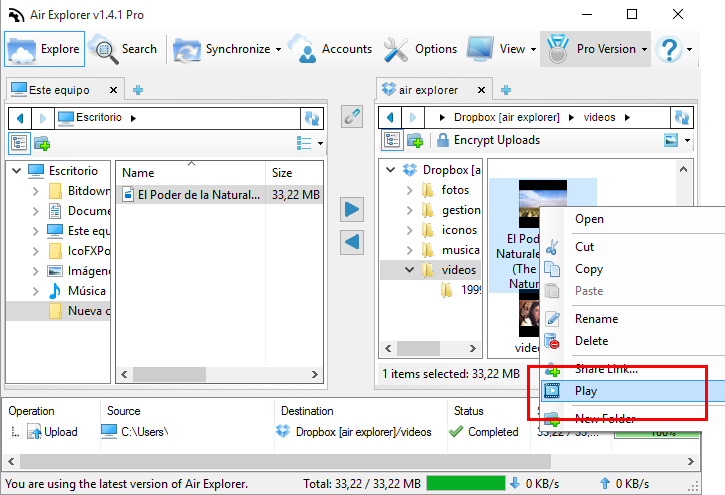 Air Explorer allows to play video from your cloud servers. 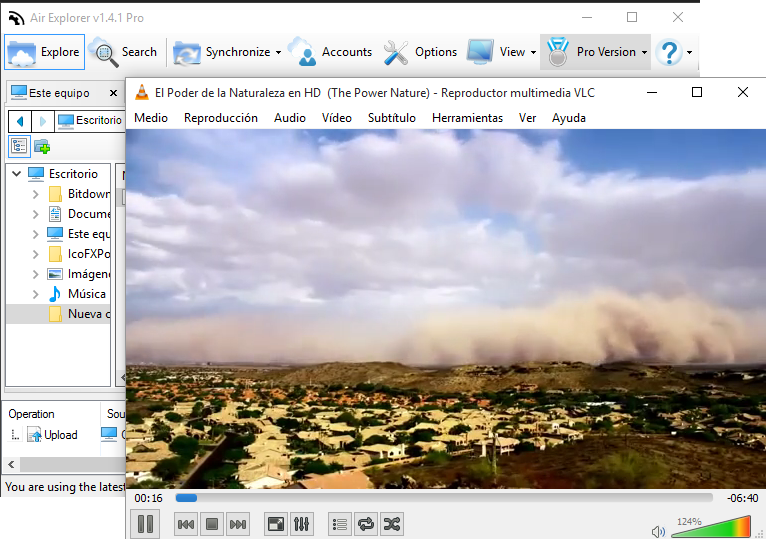 Upload your videos to the cloud and watch them directly from the cloud. Once you upload the video, select it and right click to open the menu and select “Play”. 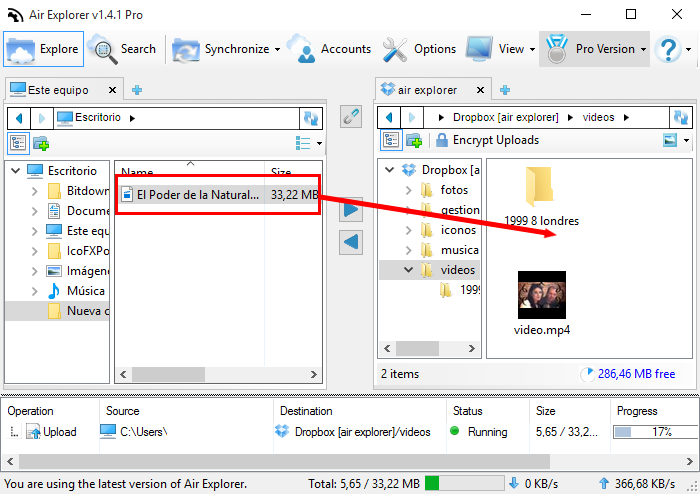 Air Explorer will open your default video player to play the video. Remember not all the cloud servers allow to play video directly. These are the cloud servers that should work without problems: Google Drice, Box, Onedrive, Dropbox, Mediafire, Baidu and Yandex. Thanks to kazu Taka for his Air Explorer introductory video.